Coach John Pinone and the Cromwell boys basketball team is off to a 16-0 start. 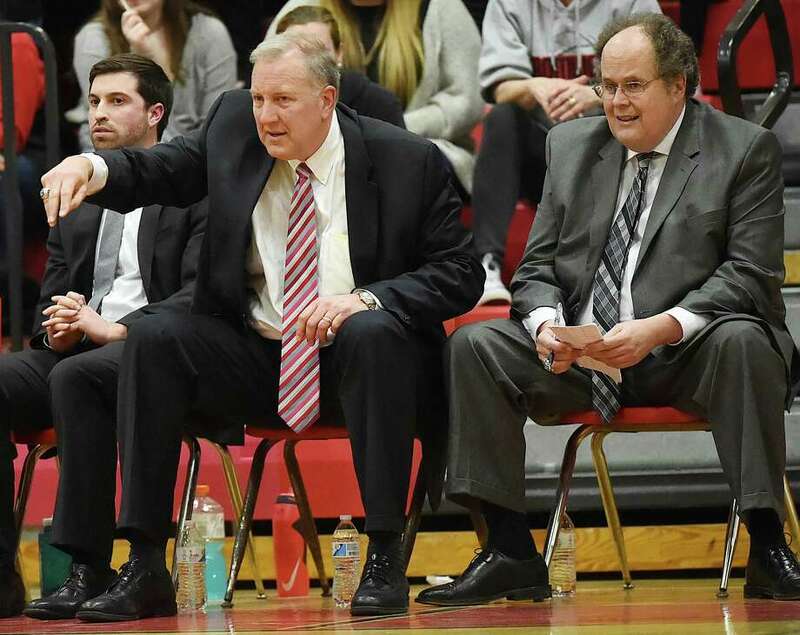 It takes a lot to impress Cromwell boys basketball coach John Pinone. Pinone has had several great teams during his 17 seasons for the Panthers, which has included two state championships and another trip to the Class S final. So a 16-0 start to a season doesn’t exactly mean much to Pinone. “We are more athletic this year than last year, but I don’t think we are as battle-tested in a lot of close games,” Pinone said. To Pinone’s point, Cromwell’s closest game this season is a 14-point win against Valley Regional. Last year, Cromwell wasn’t the favorite in the Shoreline Conference, yet reached the tournament final, then won the Division V state championship as the No. 3 seed. Now, Cromwell is in the Division IV bracket. “We’ve preached and preached all year how it’s going to be different, the physicality, the mindset. It’s something hopefully we adjust to,” Pinone said. Senior guards and captains Jalyjah Tracy-Gavin and Nick Wright lead the way and have excelled in other sports for the Panthers (Tracy-Galvin in soccer, Wright in football). Junior forward Gabe Charleston finished with 10 points, eight rebounds and two blocks in the state final last year against Wamogo. Cromwell has had a start like this before. The Panthers won their first 19 games during the 2008-09 season, but lost to Creed (then called Hyde) in the regular-season finale, 62-60. The two met again in the Shoreline and Class S state finals, both won by Cromwell. A decade later, Cromwell would love to repeat those accomplishments. But before the Panthers get there, they face Valley Regional on Tuesday, then the big regular-season finale showdown Oct. 18 against Old Lyme that will likely determine the league tournament’s top seed.